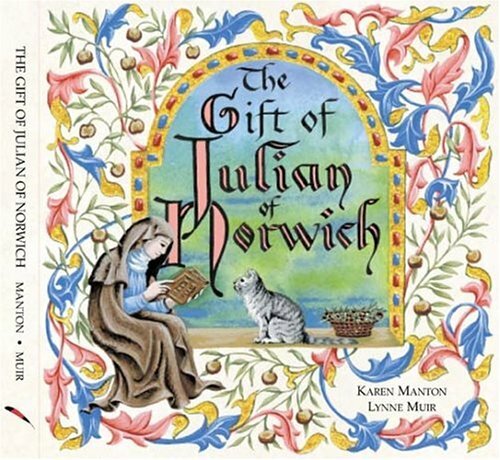 This is a charming gift book with Illuminations of some of St. Julian of Norwich's most well-known "shewings." Her 14th Century collections of meditations and observations is said to be the first book written by a woman in English. Julian asked God for an experience of illness and nearness to death in order to understand life more fully. In the midst of illness, she had an incredible experience of divine love. Not much is known of her life but she is thought to have been an anchoress, a mystic enclosed in a Church setting and committed to a life of prayer. Editor/translator Karen Manton does a creditable job of putting the work in context for the contemporary reader. Julian's world is far distant from our own, yet her "shewings" remain compelling. Illustrator Lynne Muir's calligraphy and illustration recall manuscripts of Dame Julian's day. This book is going out to a friend who enjoys geocaching and creative bookcrossing. This small format book fits with a theme for wish list book I'm sending. Later: I appreciated the thoughtful commentary as well as Julian's own writings, all enhanced by the beautiful illuminations. Really wonderful book! 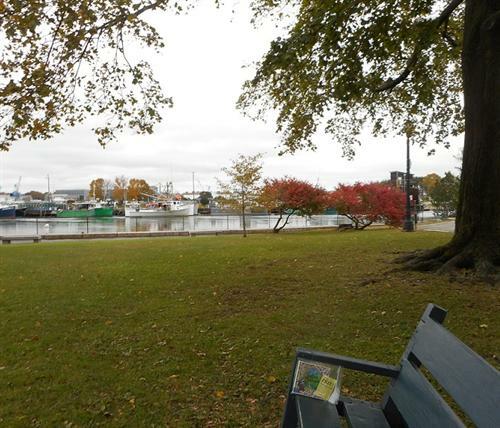 I plan to leave this book, bagged against the elements, on a bench in Prescott Park near the historical Point of Graves burial ground; hope the finder enjoys it!